If you know me, you know how much I love Buddy Holly. If you don’t know me, let me tell you, I love Buddy Holly. My all-time favorite musician. 3. It’s easy to see when scrolling through timelines (FB/Twitter). The pic is one that I took during the Fremont Experience (downtown Las Vegas) show Don McLean’s “American Pie” (which is my second favorite song ever). 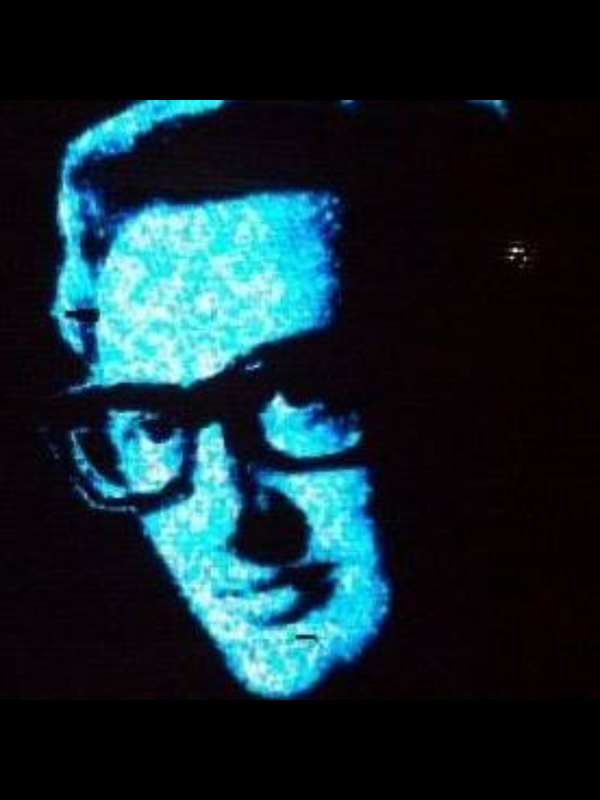 It’s cropped down from a pic of Buddy Holly, Ritchie Valens, and The Big Bopper, whose lives were cut way too short on February 3rd, 1959. Today, I want to discuss a book that I’m very excited about its release in May. I’m not really going to do a “book review” because I feel I have very poor reviewing skills. I cannot translate what I feel. The words do not come to me. But I want, I need, to share my excitement over this book. In fact, I haven’t been this excited for a book to be released sine The Last Man by Vince Flynn. And I honestly thought I never would since Flynn’s passing. 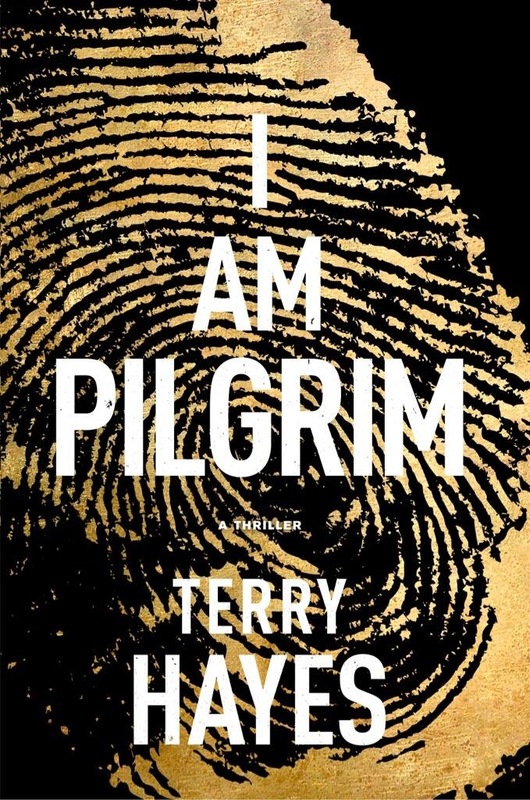 Last summer, I had the pleasure of reading I Am Pilgrim by Terry Hayes. Terry Hayes is new to the book world, but isn’t new to writing. You can find more about him here: http://en.wikipedia.org/wiki/Terry_Hayes. Pilgrim was previously released overseas, but is making is US debut May 27th. This book is epic. I say it is epic because it is 700 pages. Now, I know you may be thinking, SEVEN HUNDRED pages, but let me tell you, do not let the size of this book scare you. It’s a fast and wild ride. An amazing game of cat and mouse. The security and safety of the United States of America rests on one man, Pilgrim, to track down one man. This book is filled with twists and turns and interweaving mysteries and murders. Even after 700 pages, it leaves you wanting more. I will admit, at first I was intimidated at the size, but I was captivated from the very beginning. As it took me a couple weeks to read, I found it hard to put down (but at 2 am, I needed to get some sleep). When I wasn’t reading I Am Pilgrim, I was constantly thinking about it. Heck, I was even dreaming about it. This is the ultimate thriller. This winter can go away anytime now. Between all the snow and the frigid temperatures, I am going stir crazy! This part two are the series that are my current obsessions, continuing chronologically (except for the last one). Murder, She Wrote series by Donald Bain & “Jessica Fletcher” I first discovered this series in October 2000. I found myself in Waldenbooks (does anyone remember this bookstore? it was my favorite), and I was looking at the Halloween display (I have a serious obsession with Halloween and Halloween related things) and came across the MSW book Trick or Treachery. Murder, She Wrote is one of my favorite tv shows, so I thought how cool, I need to check out this book. Loved it. Rest is history. Well over 20 books and counting, with the next being due out April 4th (squeeeee). My favorite ones are when they are located in Cabot Cove. Murder-by-Month series by Jess Lourey If I didn’t decide to buy a Kindle, I may never have discovered this fantastic author and series! I am SO glad I did. Jess is from MN, her books are set in MN, and they have the best titles ever (May Day, June Bug, Knee High by 4th of July, etc). I strongly recommend this series if you enjoy good murder mysteries, small town USAs, fantastic and interesting characters, and Nut Goodies! Scot Harvath series by Brad Thor I came across Brad Thor on recommendation by fellow Vince Flynn fans. I am slowly working my way through the series, but am very much enjoying it. Scot Harvath is a badass! (I can only dream about how awesome a Mitch Rapp/Scot Harvath team up could have been!!) If you’re on twitter, you can follow Brad (@BradThor) and I suggest you do. And saving the best for last…..my absolute favorite author and series…..ever….. I like a lot of books. Many different genres. I still hope to continue to broaden my horizons, maybe even getting more into classic literature. I have a very large pile of books to get through, but it is ever growing. Series. I love series. To me, nothing is worse than falling in love with a character (or characters) and after you finish the book, there is nevermore. Don’t get me wrong, not every book needs or deserves to have a sequel (or be part of a trilogy or a series) just like the movies. I can honestly say that I haven’t read many of the masterpieces, you know, the classics, like the ones that they make you read in school. Reading to me needs to be an enjoyment, so I read what I like (and I like many different genres). So I decided to share the book series (because series just seem to captivate me the most) that I have fallen in love with throughout the years. Choose Your Adventure In elementary school, i discovered these books and they quickly became a favorite of mine. I would sometimes cheat and flip to both continuations to see which was better (who didn’t??). I loved that you could read the book multiple times. Shel Silverstein (Where The Sidewalk Ends, A Light In The Attic) I think it was these two books which developed my love for poetry. I really need to get a copy of these two books. R.L. Stine (specifically the Fear Street series) Yep, and I still love RL Stine today. Did you know the Fear Street series is making a comeback, and the first book is going to be set around Halloween time (I love everything October/Halloween). At the time in middle school, you were either a RL Stine fan or a Christopher Pike one. I read ever Fear Street book out there, several times. My biggest regret was donating away my collection (minus the Cheerleaders ones and the Halloween ones), but hopefully they have been enjoyed by others out there, I think I wrote my name in most of them. Stine has written a few adult books as well, the most recent, Red Rain was fantastic. I never read the Goosebumps series besides a few of them, because they were just too young. The Body of Evidence series by Christopher Golden This series I believe I started reading the summer after high school. This series centers a girl who is starting college where her father is a professor, ends up with a job working with a medical examiner, and helps with autopsies and solving murders. I was very sad when this series ended, and just ended without really a wrap-up. Highly recommend this series. The Twilight Saga by Stephenie Meyer I was late to the party on this series. I started reading Twilight well after the first movie was out. I love vampires. The Harry Potter series by J.K. Rowling I was late to the party on this series as well. I started it after the 4th or 5th movie was out. So, I bought a boxed set from Target. I would read a book, then watch the movie. I probably should have allowed a bit of more time in between to let the books really sink in, but I was on a mission. Hi There! My name is Stacy (if you couldn’t figure that one out). I’ve been thinking of doing a blog for some time now, but didn’t want to or have the desire to make the commitment. I feel like the time is now. In part, I am making this blog to provide some accountability to myself. Simply put, I want to be a writer. I’ve always wanted to be an author for as long as I can remember. It was always one of the things that always stuck with me growing up. I’ve never been vocal about it. Very few people know about it. But now, I guess I am letting the whole world know about it. I don’t write much. I don’t take the time. Hard to be a writer if you don’t write. I’ve always let the fear of no one liking what I write, or not getting published take over. A fews ago, self-publishing seems to have exploded with Amazon’s Kindle. I thought to myself, “Hey, this may be the way to go.” It takes away the fear, of not being published, at least. Between work, reading (in which I have been doing a lot of lately), my addictions to Facebook & Twitter (especially Twitter), I don’t have the time. But of course, this is a lie. I can make the time. I need to make the time. I will make the time. The time is now! So follow me along this journey, who knows where it will lead. The most realistic goal I will set for myself is finishing one novel (hopefully more than one) by the end of this year (so I am giving myself plenty of time, so no excuses) and getting it self-pubbed in early 2015. Please be nice as I am just figuring out this blogging thing and getting used to WordPress. (the last few hours have been a little trying, but I am starting to get the hang of it, I think). Sit back. Have fun. Hope I don’t bore you to death. My mind is trapped within walls of white.